After returning from somewhat sunnier climes, I was hit by the icy temperatures in london and realised that my brekkie of fresh fruit and yoghurt was perhaps not going to work. I was craving something warm and comforting, porridge to be precise! 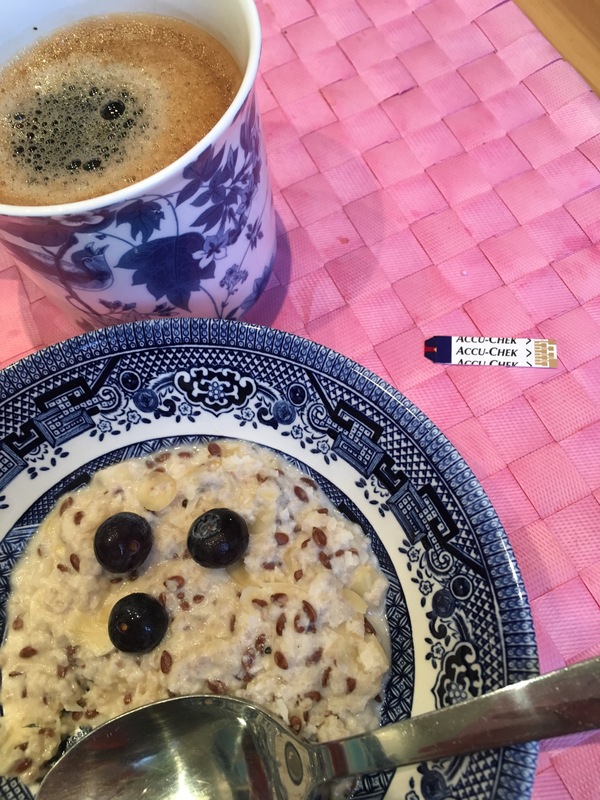 Now porridge, as we know, is fairly high on the old carb count and therefore something I tend to either avoid or at least save for a special occasion. I therefore set about (yet another) low carb alternative experiment. Gathering all the low carb nuts, seeds and flours from my cupboards, I went about throwing some things in to a pan and after a few goes, I put the spoon to my mouth and stifled a squeak of excitement. I had hit the low carb porridge jackpot!! Yummmmm! Have a go and let me know if anyone has anything else they use to satisfy those warm carb cravings in the morning! !